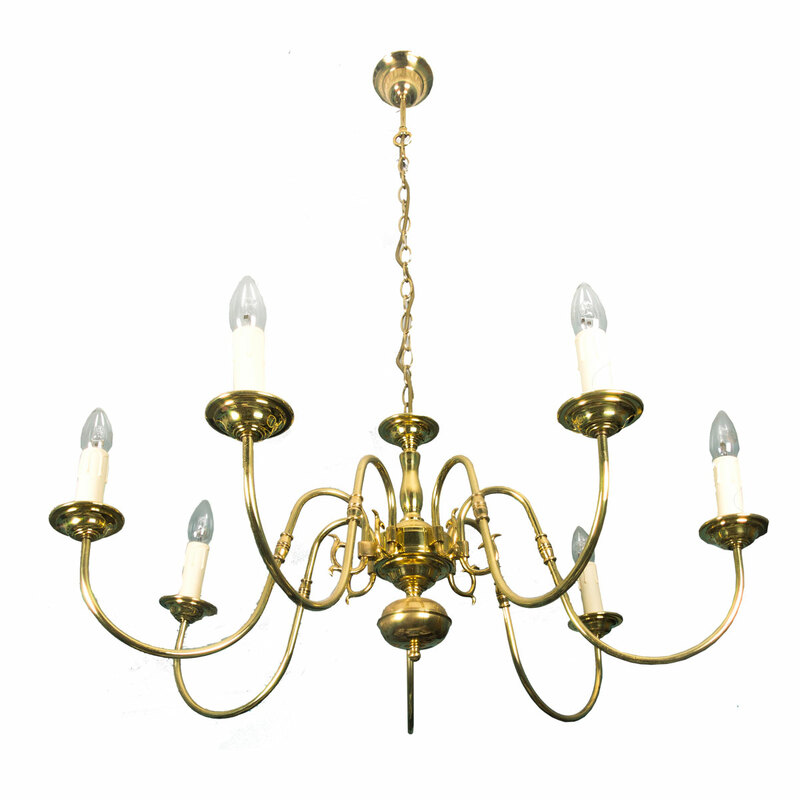 Brass Chandelier Light with chain and wiring. Bulbs not included. We recommend installation by a qualified electrician.